The word was a staple in 1940’s sci-fi flicks. The ingredients in most of today’s facial serums may sound just as other-worldly -- peptides, hyaluronic acid, antioxidants, and a bunch of other ingredients many of us can’t pronounce. These products are life-altering, though, which is one reason they make such great additions to your brand new year. Taking better care of your skin is as good a resolution as any. What is a serum? According to More Lovely’s advisory aesthetician Renée Rouleau, “A serum is a skin care product with a gel or light lotion consistency that contains a high concentration of performance ingredients. You should use a serum underneath a moisturizer or treatment mask. While using a cleanser, toner, and moisturizer is still the foundation of a solid routine, serums are a great addition. It’s best to use them when your skin is in a rut and/or you’re seeking better results. So, how do you choose one? (Or more?). “Avoid [any serums containing] SD alcohol 40, denatured alcohol or oils,” Rouleau says. “These alcohol ingredients are very dehydrating and unfortunately encourage dry skin cell build up. In addition, I’ve lately seen many oils marketed as serums. I’m not on board with this, and here’s why: Serums are formulated with small molecular structures. Therefore, they deliver performance ingredients deep into the skin. If this is new terrain for you, be aware that serums can be on the pricey side. They’re among the most expensive items in most skincare lines. But the best ones are more than worth what you’re paying for them because they deliver the goods. And they’re a lot more economical than their price tags imply, since -- unless you can’t be trusted to follow the instructions and use “a pea-sized amount” -- they can last for a very long time. In the last 18 months, I’ve tested serums from ... well, just about everywhere. Some were sent to me. Some were already part of my daily regimen. And others, I purchased (in stores or online), because I wanted to give them a shot. I started with 14 and narrowed them down to a few favorites. Some very well-known brands didn’t work for me. Two caused breakouts. Others never seemed to feel right, or do much of anything that I could tell. I used each serum on its own for a week or two. There are way pricier ones out there, but I stuck to serums that were about $100 or less. 1. 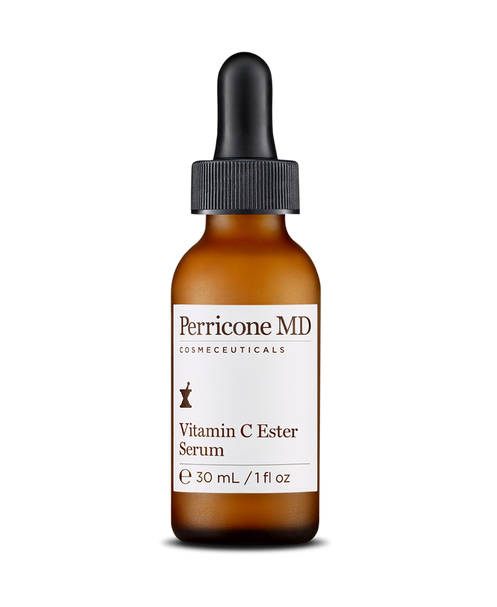 Perricone MD: Two serums, the Vitamin C Ester ($105) and the Pre:Empt Series Skin Perfecting Serum ($90) are high on my list of really good things for your face. The former is vitamin-rich, easily absorbed, and addresses uneven skin tones along with all the usual suspects (wrinkles, lack of brightness, etc.). The citrus scent is neither here nor there. (I wasn’t sure what the scent was, but it departs quickly.) The Pre:Empt is an antioxidant tidal wave that promises to address dryness, dullness and uneven skin texture. 2. Kiehl’s: I’ve yet to find a Kiehl’s product that wasn’t worth my time, but the two I have been using for the last two years are the Age Defender Power Serum ($50) and the Midnight Recovery Concentrate ($46). Age Defender comes in a pump bottle and is marketed as a wrinkle treatment for men. Midnight Recovery is one of the most luxurious facial oils your skin will ever come in contact with. Both will give you noticeable results. 3. SERIOUS SKINCARE: This line, which is one of the most popular on HSN, has many terrific products. The Creamerum Evolve ($91), which was first marketed as a cream and serum combo, has been my go-to for years. It addresses texture and hydration issues. It is often sold with a companion eye treatment. Both are worthwhile, but the face treatment is particularly recommended -- the one serum I always have on hand. 4. FOXBRIM: The most affordable on this list, these products come in stopper bottles and aren’t particularly chi-chi. (Hooray!). Among the serums I’ve used are Advanced Formula Vitamin C Serum ($15.95), Peptide Complex ($21.95), and Complete Retinol ($17.95). Like most folks, I’m attracted to big-ticket products -- and many of them are quite good. But the Foxbrim line has worked for me and the prices are too good to resist. You can mix and match them with almost anything.